Atmosheric, smoke and fog effects can be produced in various ways and in various intensities. From the smallest wisp of smoke for models and props to, stages covered with a blanket cloud of low lying smoke to fogging out forests for films we have the expertise and equipment to help. 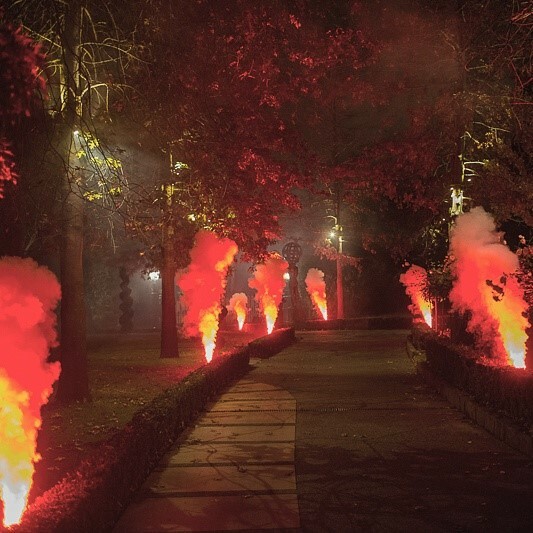 Blaso Pyrotechnics Smoke Jets are the answer to the demand for a safe, yet high-quality imitation CO2 effect. This compact device has enough power to imitate the powerful force of CO2 jets and flames. This unit will never generate the heat or cold of a traditional jet, but for locations where that kind of thing could be a problem, this is an excellent alternative! Blaso Pyrotechnics Smoke Jet is a great alternative to CO2 jets or flame effects in locations where effects like this pose a fire hazard instead by shooting columns of fog illuminated with colour - a unique effect that adds a touch of drama to any event or stage. This powerful fog machine blasts a vertical stream of safe, water-based fog while simultaneously lighting it with high-power LEDs. A combination of red, green, blue and amber LEDs allows you to easily mix the perfect colour to illuminate the fog! If you are a production company or nightclub, you'll love the pricing on our MagicFX Smoke Jets. Just call us on 1800 069 007 to have a chat or send us an email. 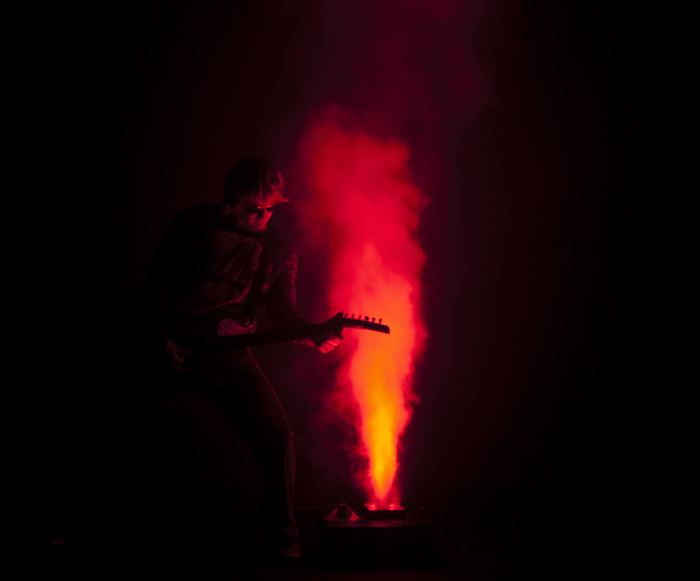 Blaso Pyrotechnics Freezefog Pro creates a powerful, controllable, low-lying smoke effect or fog curtain using specially formulated low smoke fluid. Perfect for stage and theatre, clubs, catwalks and arenas for the coldest, thickest, floor hugging, low-lying, white smoke effect available. This machine is considered the best and is the preferred choice for theater stages, film sets, clubs, tours and theme parks around the world. The fog is non toxic and will leave no residue on any surface. Powerful, controllable and low-lying smoke effect. Long lasting and residue free. Remains low lying and does not rise. Ideal for large venues and outdoor use. Options for ducting and creating fog curtains. 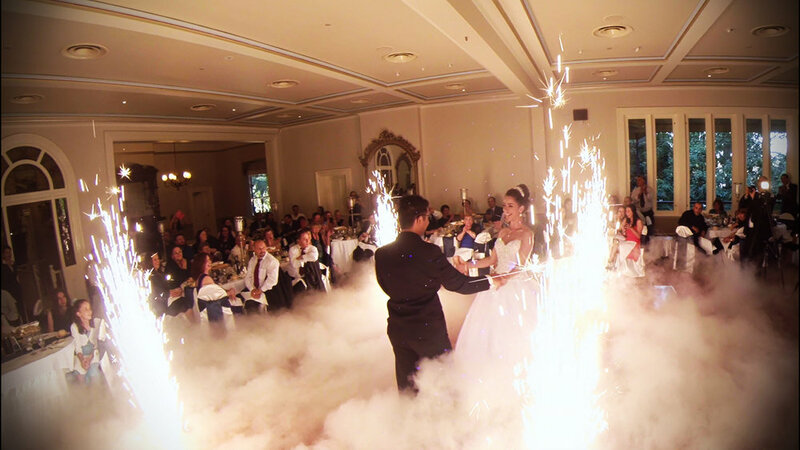 Blaso Pyrotechnics Dry Ice Machines utilise Dry ice Pellets to create a blanket cloud of low lying smoke, with straightforward operation and variable output. If you want that magical and dense cloud like effect then our dry ice machines can certainly create that. The ultimate dense cloud like smoke effect. Wedding First Dance / Bridal Waltz must have! Ruggedly constructed and totally portable. Straightforward operation and variable output. Available for Hire - With or Without technician. The traditional dry ice machine, the Pea Souper is lightweight, yet powerful. The rate of flow is easily controlled, and the unit’s 9kg dry ice capacity gives approximately 5 minutes of fog production. Suitable for a 15 foot x 25 foot area - two units do a great job on a standard 20 foot x 40 foot stage when one is placed at each end. 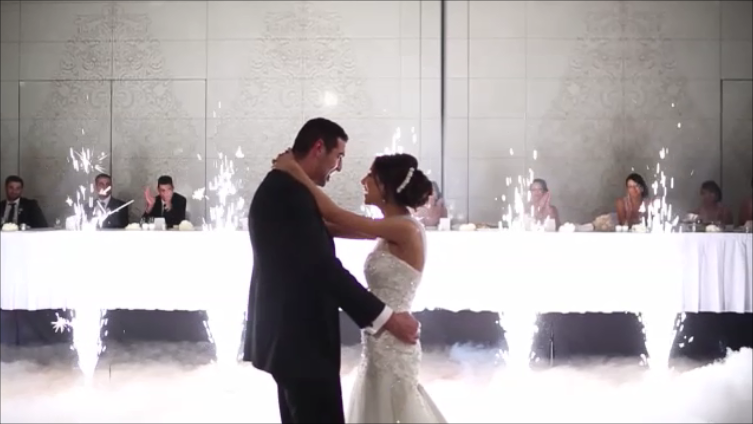 We are able to provide a turnkey production with one of our professional operators that will be able to deliver and setup the machine and operate the Dry Ice during your desired scenario within your event or we also hire out our Dry Ice Machines that are custom fitted in cases for pickup from our warehouse. If you are planning a wedding, excellent rates are available when combined with one of our wedding firework displays and indoor packages. Please feel free to call us on 1800 069 007 to discuss your requirements. 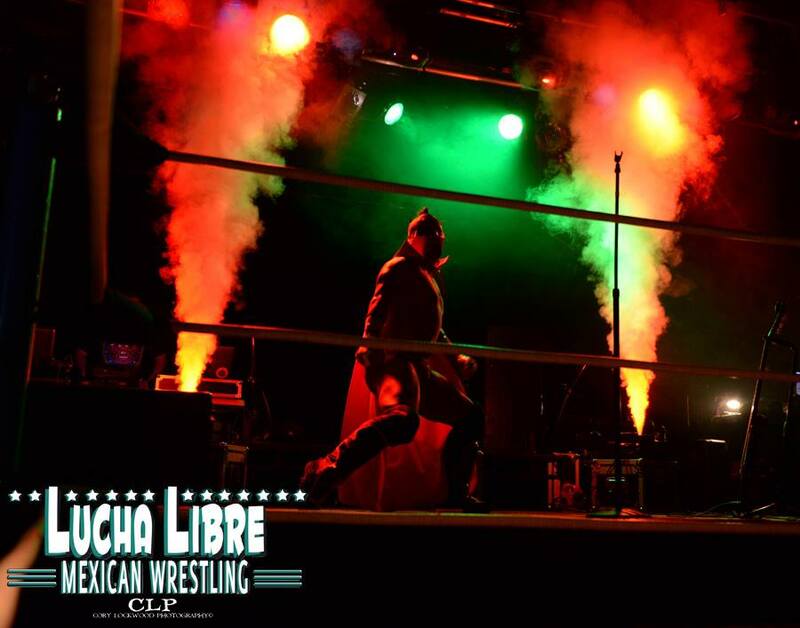 need smoke fx at your next event? cant see the effect you are after?